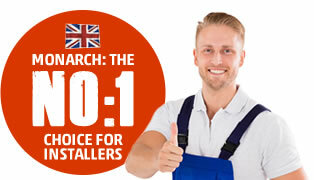 vending machine, steam oven and a wide range of catering equipment. 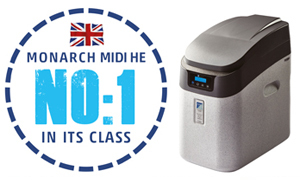 Every unit contains 3 levels of filtration. Starting with a carbon bank to remove any chlorine from the water to protect the resin and ensure maximum life. The water then passes through a mixed layer of resin and silverised carbon. The resin removes the harmful limescale that damages your machines, whilst the silverised carbon keeps the water fresh 24/7. It then passes through a final bank of carbon to polish the water prior to use. 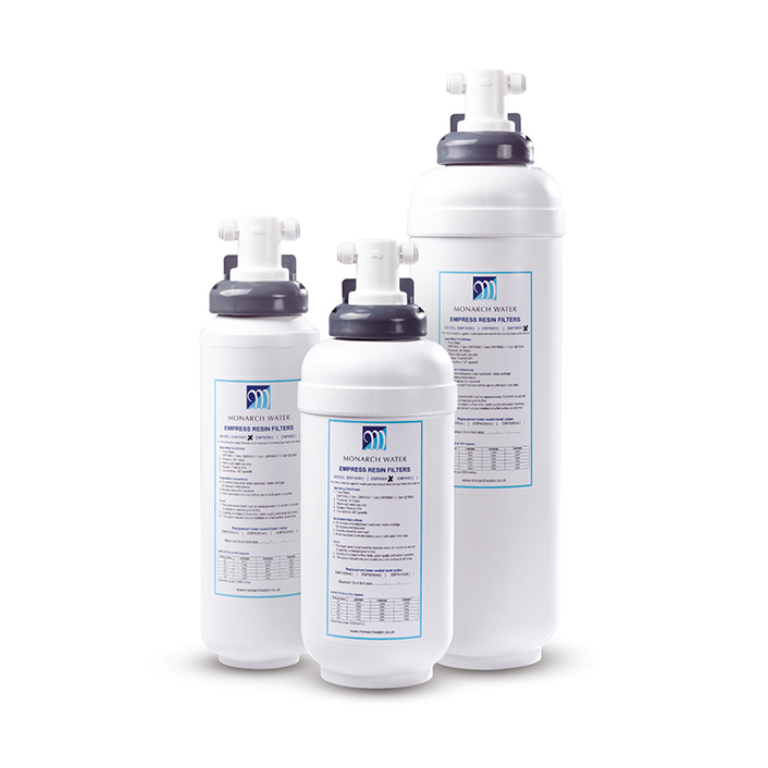 Suspended solids are automatically removed during the multi level filtration. 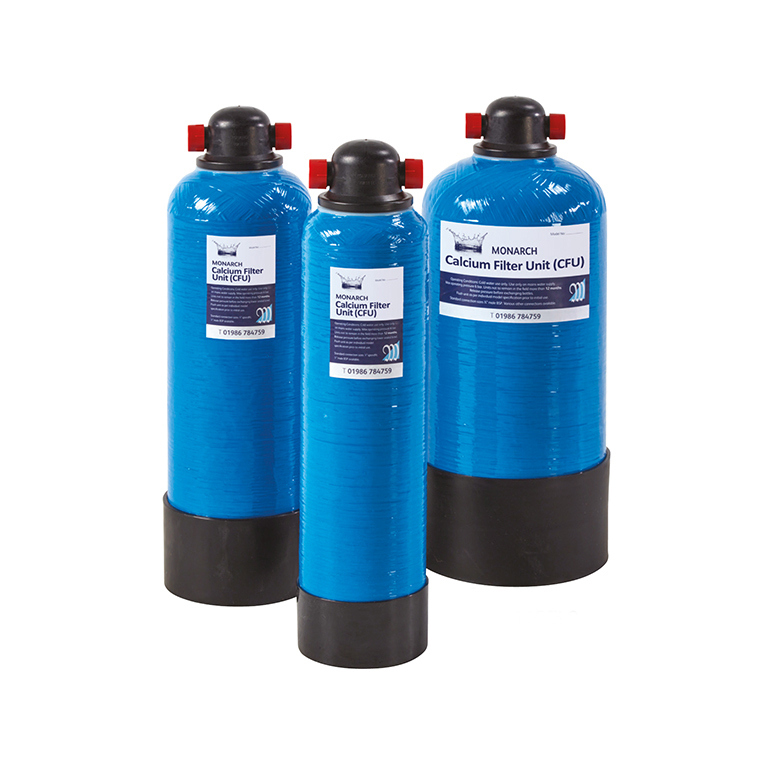 We not only give a pH stable water preventing corrosion, but also a fresh tasting water 24/7 free from scale too. Empress/CFU preventing scale 24 hours a day. 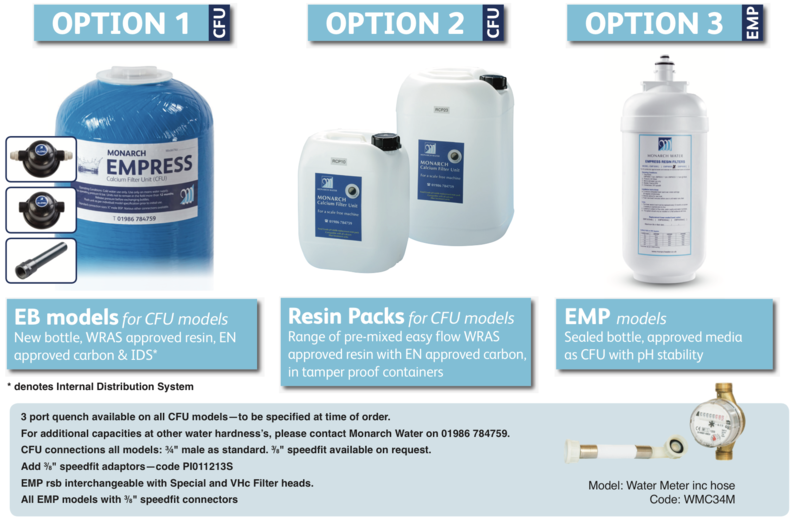 The Monarch Empress/Catering Filter Unit (CFU) uses both new pH stable resin and high performance carbon on every unit, be it a new, replacement or DIY resin pack sale. Full details are shown below. 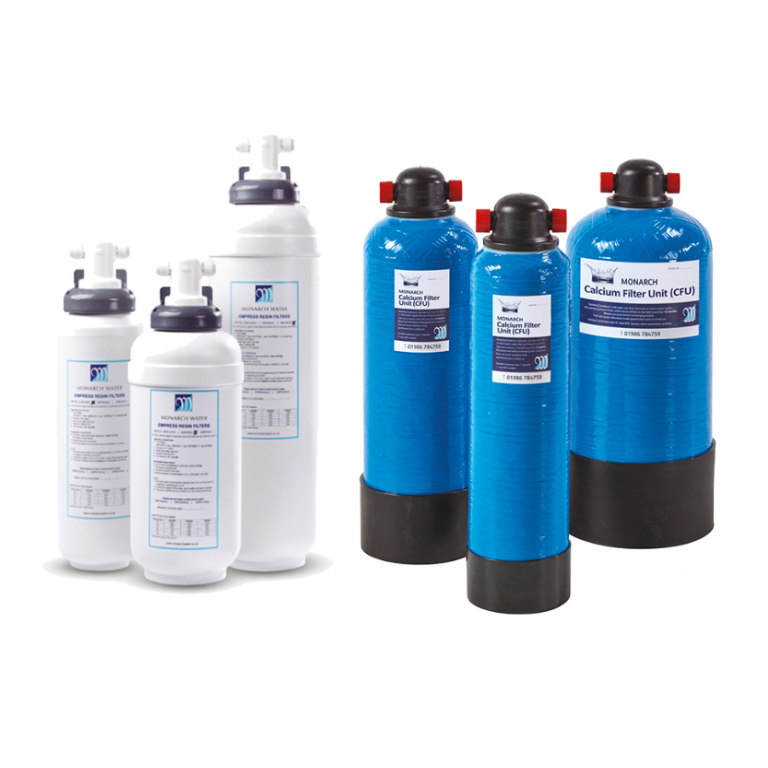 This gives total protection against scale formation and pH variances with high quality water at both the point of vend and inside the bottle. A free monitoring and exchange service programme is available on request, on every unit that is registered with Monarch, to make sure the equipment has constant protection.